Brad Brody covers bankruptcy and state matters for CKB Lawyers in both Kane and Du Page County. Brad has been an associate of CKB Lawyers for the past six years. Brad is well versed in bankruptcy. He is reliable, professional, and thorough. I just want to acknowledge this firm, specifically Christiana Banyon of what a professional should be. I wish she was a representative sample of what all attorneys were. I know of a few very good ones with good hearts. Her and Mike Marovich out of Orland Park are gems. Not many attorneys will exceed all expectations personally and professionally, they both have. I will direct my attention to Mike on his review. Christina was a very caring, and empathetic person and seemed to have the ethcial and professional charisima and fortitude most clients dont witness. I wasn’t personally her client; however, was physically present to an involved party I deeply care about and can say anyone who hires her will be in awesome hands and should not be troubled or worry about unprofessional ot unethical care. She spoke truth even when it meant sacrificing money that she could of taken from someone in need. Thank you for your patience and kindness to me during this. Christina really helped to me keep at ease and get closer to my fresh start. I’m very glad to have met her. 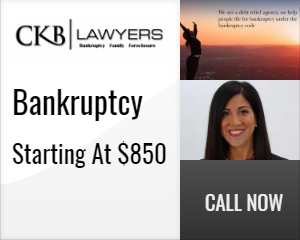 I would openly and enthusiastically recommend Christina if you ever have to go through a bankruptcy. Let’s face it, a bankruptcy can be one of the most humbling experiences of your life. In most cases, and in my case, in particular, you can feel embarrassed and something of a failure. Christina took what could have been a terrible experience, what I thought was the lowest point in my life, and made it into a positive, life-changing experience. Her humble, positive approach coupled with her knowledge and expertise made the entire process smooth and painless. But more importantly, the connection she makes with her clients is even more important than the casework. Her assurances and explanations raised up my spirits and made me realize that this is not something to be embarrassed about, but rather it is a tool to be used to generate a fresh, new start. Working with Christina I felt confident again and ready to move ahead. Christina will always have my highest recommendation, not only as an attorney but as a human spirit who genuinely cares about those she works with. Thank you again for all of your help through this process. “In challenging times, the littlest things can make a huge difference. Christina helped me with a sensitive and downright embarrassing situation with the professionalism and kindness that I really didn’t think anyone possessed anymore. I highly recommend her for all of your legal needs. “Christina Banyon is amazing at what she does! I was in an unexpected time crunch and she went above and beyond to help me. She reassured me everything was going to be ok and in the end, it was. “Christina, I am so grateful for your excellent representation during our bankruptcy. You have enabled me to get on with my life. It feels like the weight of the world has finally been lifted from my shoulders and I can breathe again.